May in Minnesota brings big Spring storms, and now is a good time to check the trees in your Milaca home or business for tree damage. Pioneer Tree Service can inspect your trees, remove any damaged limbs, and provide tree restoration services by our ISA Certified Arborists and MN Certified Tree Inspectors. Pioneer Tree Service provides fully insured tree services. The fully trained and insured team at Pioneer Tree Service can remove or prune any tree of any size or location. Call Pioneer Tree Service at 763-238-5254 to schedule an appointment today. You can also request a tree service appointment by filling out the request form on this. 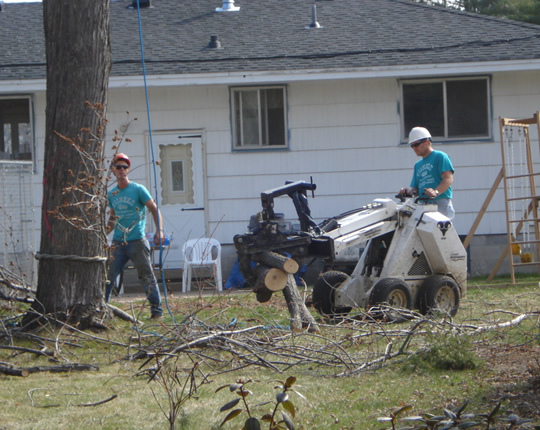 Pioneer Tree Service is fully insured professional tree care company that offers tree trimming and removal services, insect and disease treatments, storm damage clean-up, tree planting, stump grinding, and more to homes and businesses in Milaca and the surrounding area.